Over the course of 85 years we’ve seen our industry evolve a great deal. We have the benefit of experience to foresee what changes on the horizon will have the greatest and longest-lasting impact on our customers. We can also evaluate which technologies are not yet sufficiently developed to warrant adoption by our customers. This is a key and compelling value we bring to our customers. 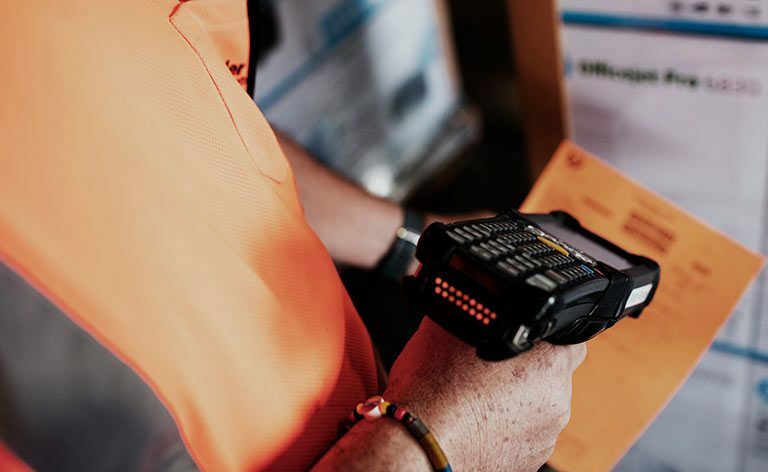 As disruptive trends continue to reshape the logistics industry, it is our responsibility to help our customers adapt to this rapidly evolving marketplace. And through our guidance, our customers are able to save time, money, and resources. Ryder’s goal is to create and strengthen customer relationships by leveraging and developing technology that addresses these disruptions. 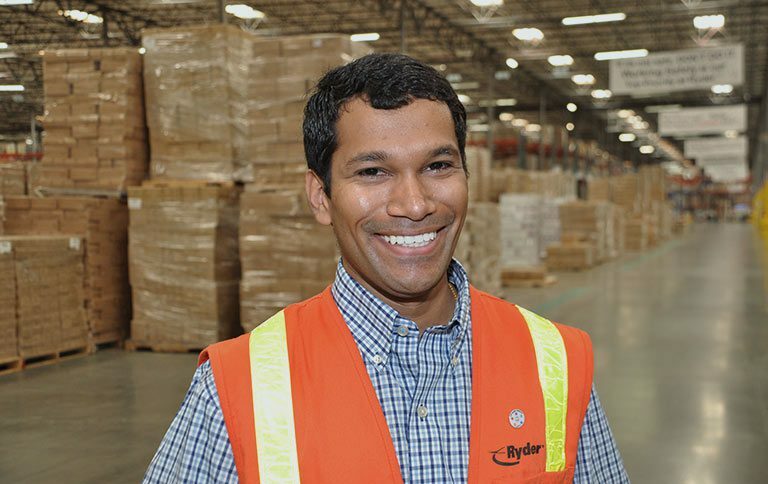 With increased online purchasing and expedited delivery expectations facing our customers, Ryder is focused on providing the right solutions to improve our customers’ efficiency. The e-commerce market continues to grow, with retail web sales increasing 16 percent in 2017 to more than $450 billion. In 2018, growth year-to-date is higher than the previous three years. By 2040, it is estimated that e-commerce sales will account for approximately half of all retail sales. Consistent double-digit market growth in e-commerce is driving longtime retailers to increase their online presence and attracting a number of start-ups to market. The growth in e-commerce most directly impacts our work with our Supply Chain Solutions (SCS) customers, who rely on Ryder to manage their distribution network with omni-channel fulfillment strategies. Our expansive footprint, logistical expertise, and fleet optimization value added services provide holistic solutions to this growing market. Our Leadership Team oversees Ryder’s initiatives to address growing e-commerce trends and their impact on Ryder’s service offerings. In addition, we partner with third parties to increase scale and maximize the value provided to our customers. With the acquisition of a big and bulky last mile provider, MXD Group in April 2018, we developed Ryder Last Mile, which enables Ryder to seamlessly ensure timely deliveries and last mile solutions for retailers and shippers of big and bulky products. 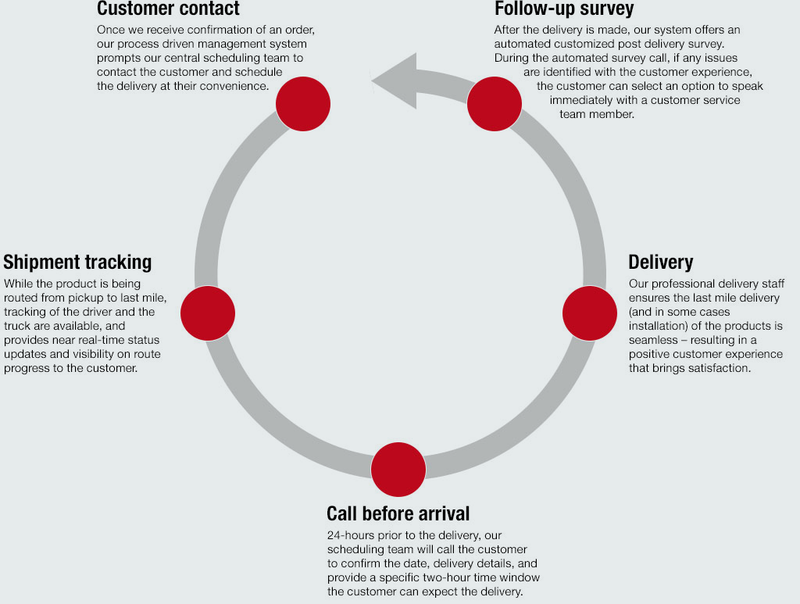 Our last mile solutions include contacting the customer, tracking the shipment, calling before delivery, last mile delivery, and a follow-up survey for customers to share their experience with us. 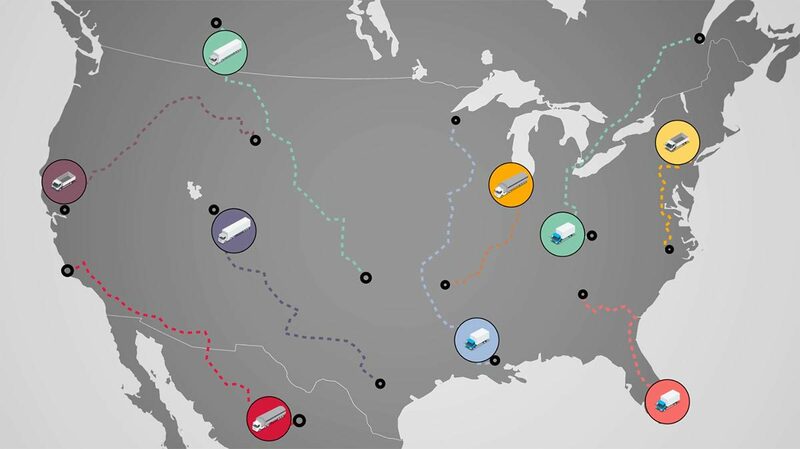 With our network of service hubs and technological capabilities, we can ship to more than 95 percent of the U.S. and Canada within two days, offering a 2-hour delivery window to the end-consumer. Our RyderView technology provides shippers and consumers 100 percent, real-time, end-to-end shipment scheduling, visibility, and tracking. 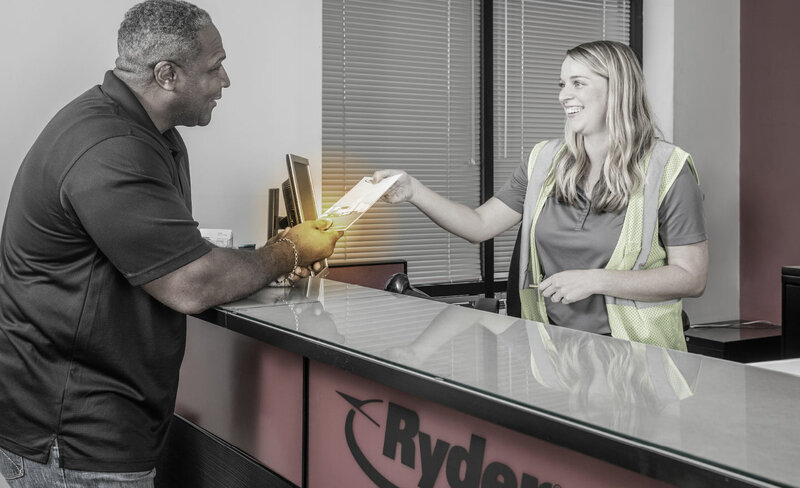 Ryder Last Mile provides diverse tiers of service to our customers, from convenient delivery windows to unboxing, installation, and inspection. Our Deluxe service offerings includes “furniture medics,” saving consumers up to six times the cost of a damaged or returned item. Ryder Last Mile enables bespoke delivery of big and bulky items—providing customers and end-consumers with greater options, better quality, and the transparency and logistical expertise to ensure delivery of online purchases. Rising fuel costs, changing regulations, evolving demographics, and a growing interest in sustainability are driving demand for advanced vehicle technologies. At Ryder, we are committed to equipping our fleet with the latest vehicle technologies. Together with our clients and partners, we are leading the industry toward low carbon, alternative fuel vehicles. For information on how Ryder is addressing next generation vehicles, see Fleet Energy & Emissions. As the world of the sharing economy continues to mature and evolve, Ryder has the opportunity to utilize technologies that improve efficiencies across our value chain. Our Chief Marketing Officer manages Ryder’s asset sharing initiatives. 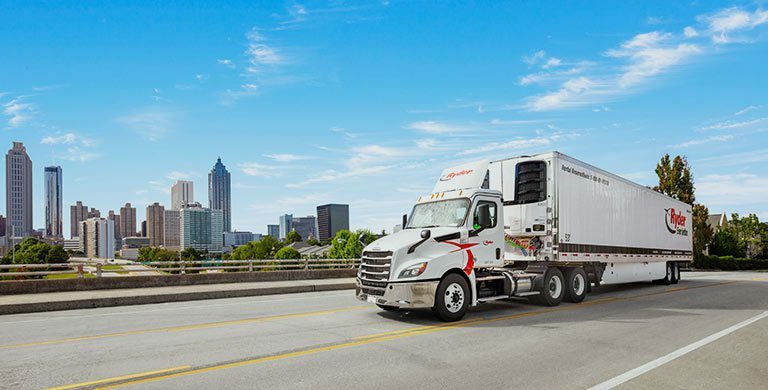 These include truck- and freight-sharing opportunities, where Ryder is working to create new markets for our customers. 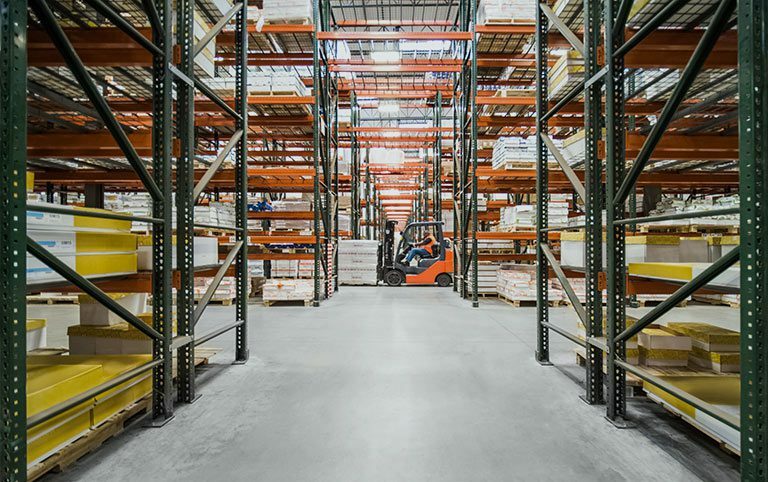 By increasing customer access to vehicle and freight sharing platforms, customers can realize value on their underutilized assets. Ryder introduced COOP—the first ever peer-to-peer digital platform for commercial vehicle sharing—in early 2018. COOP enables customers to monetize on their underutilized truck capacity within their fleet by renting vehicles to business peers. Since COOP officially launched in March 2018, we have 450 accounts and over 6,000 rental days completed on the platform. RyderShare is an end-to-end, digital platform that allows everyone across a company’s supply chain to benefit from real-time visibility and collaboration into orders, inventory and shipments. This cloud-based platform enables customers to reliably see and act on the delivery of their products which includes the ability to share transportation assets and broker freight as needed. With actionable visibility, tracking, alerts, and analytics, our customers can save time, money and resources. Technological advances have improved the ability to collect, analyze, and interpret data. At Ryder, we are adopting these technologies to enhance our services, create new solutions, and increase our organizational efficiencies. By equipping our drivers, technicians, and fleet with innovative tools, we are increasingly using data analytics to better understand our business and our customers’ businesses so we can serve them better. Vehicle telematics systems provide a foundation for better understanding our fleet—from reviewing speed and idling time to compliance with the electronic logging device (ELD) mandate. DriveCam technology, advanced safety features, and Ryder Safety NET—our Incident Management System—strengthen our proactive safety management, enabling the identification of collision and injury root causes and implementation of tailored trainings and coaching. Moving forward, we will continue to leverage data and connectivity in our transportation and logistics solutions, such as route and load optimization, vehicle maintenance planning, and reducing our customers’ environmental impacts. From the C-suite to the loading dock, all employees work together as a team to eliminate waste, reduce cost, and provide greater value for customers. 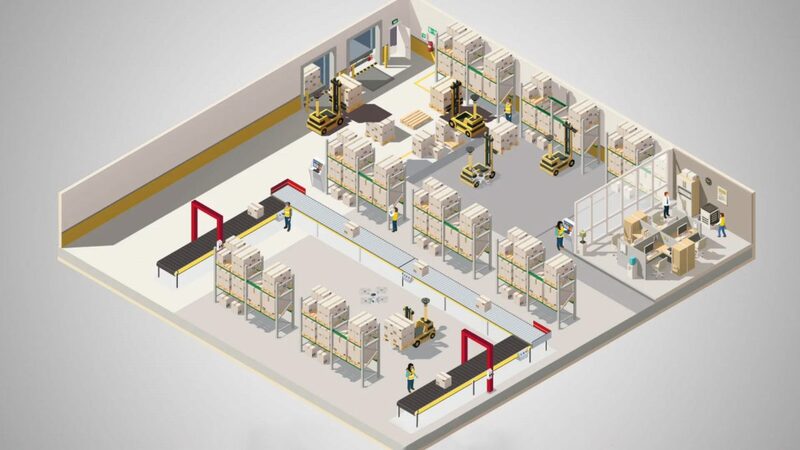 Supply chain processes must be performed correctly to facilitate the smooth flow of goods from point to point so orders can be filled correctly, completely, and on time. This leads to higher levels of customer satisfaction and lower transportation costs. Employees in a LEAN facility are trained in documented best practices and expected to follow them. Standardization makes it easy to calculate the time and resources needed to complete specific work processes and provides the foundation for continuous improvement. The shorter the time between when a customer places and receives an order, the LEANer that supply chain is. Short lead times unfetter cash that would otherwise be tied-up in “safety” inventory and make it available for other uses. Finding ways to remove waste and improve quality becomes the responsibility of every employee in a LEAN facility, leading to an ongoing stream of small gains that add up to big improvements over time. To learn more about our operational efficiencies, see the Environmental Stewardship section of this report. 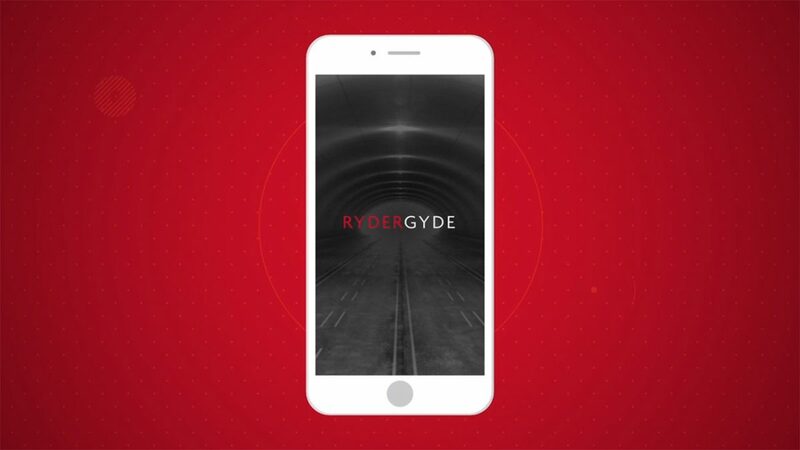 In June 2018, Ryder launched the first fleet management mobile application in the industry, RyderGyde, for our Fleet Management Solutions (FMS) customers. 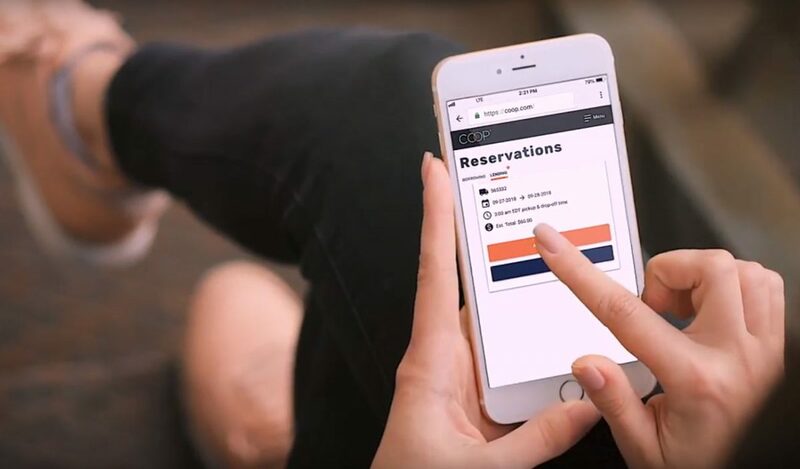 Using the app, customers can schedule maintenance in under a minute, access fuel rates (from Ryder and third parties), access rental and used vehicle sales, enable fuel tax reporting, and track mileage. We developed the app in response to increased feedback that customers prefer digital interaction to decrease transaction time and expand efficiencies. RyderGyde helps our customers manage their fleet, ensure timely maintenance, and interact with Ryder more easily. To date, more than 6,000 customers are utilizing RyderGyde. We continue to enhance the features of RyderGyde and plan to roll out the app to other business segments in 2019. As most of our vehicles are customer-operated, Ryder offers the RydeSmart fleet tracking system to help our customers track their fleet efficiency. RydeSmart is an integrated telematics platform that enables customers to monitor key vehicle attributes, such as location, speed and idle time, and real-time performance metrics. This all-inclusive solution increases productivity, reduces fuel expenses, and decreases idle time. RydeSmart also helps customers ensure compliance with federal regulations, including the ELD mandate. 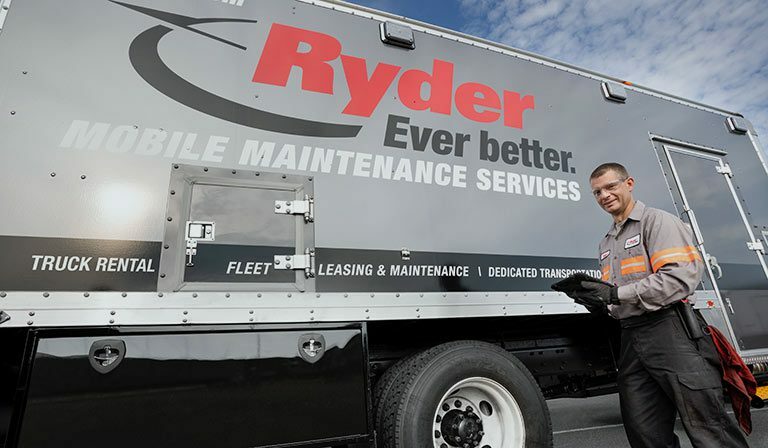 In tandem with Ryder ChoiceLease and SelectCare Maintenance solutions, RydeSmart enables expanded analytics and reporting capabilities, convenience of scheduling servicing at Ryder facilities, and extended equipment and service warranties.